Shy Mama’s Halloween by Anne Broyles (Author) Leane Morin (Illustrator), Published by Tilbury House Publishers; (August 1, 2000) Age Range: 4 and up. My Twins’ First Halloween by Paris Morris Johnson (Author), Published by New Year Publishing (October 1, 2013, first print February 29th 2008) Age range: 3 months – 12 years. 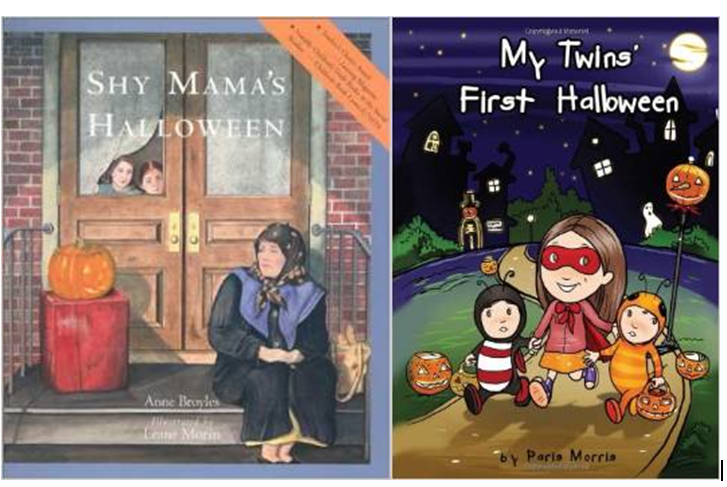 Both books are about celebrating Halloween for the first time. Shy Mama’s Halloween is about an adult immigrant’s first experience with trick or treating and My Twins’ First Halloween is from the perspective of children with information about the holiday and how it’s celebrated in the US.